In 2009 9 filmmakers pooled their creative talents and shot one film every month. Each month a new director was chosen, crew roles were assumed, and time moved rapidly. only one month would be given to write, plan and shoot the film. Check back regularly for news of screenings. 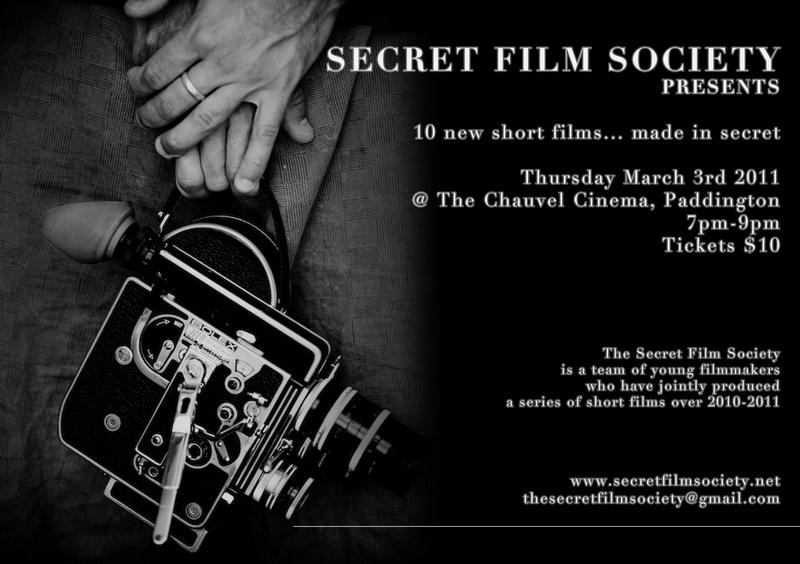 The complete '10 Film Project' screened at the Chauvel Cinema. Thanks to all who helped sell out the evening!